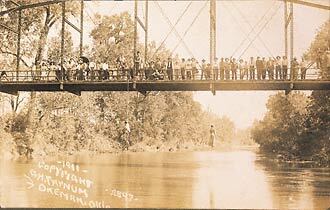 The lynching of Laura Nelson and her son, several dozen onlookers. May 25, 1911, Okemah, Oklahoma. Etched in the negative: "1911 copy right, g.h. farnum, okemah. okla\ 2897."